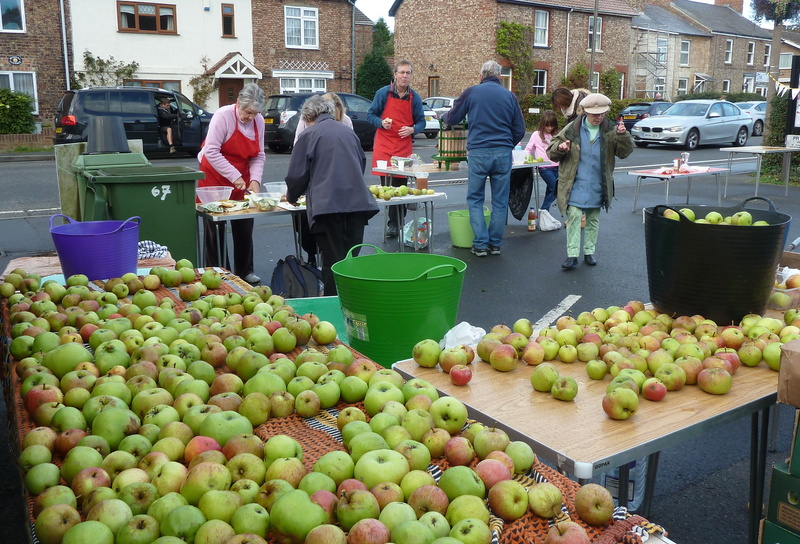 On Sunday, 9th October, villagers from Bishopthorpe joined the nation in celebrating the great British apple! 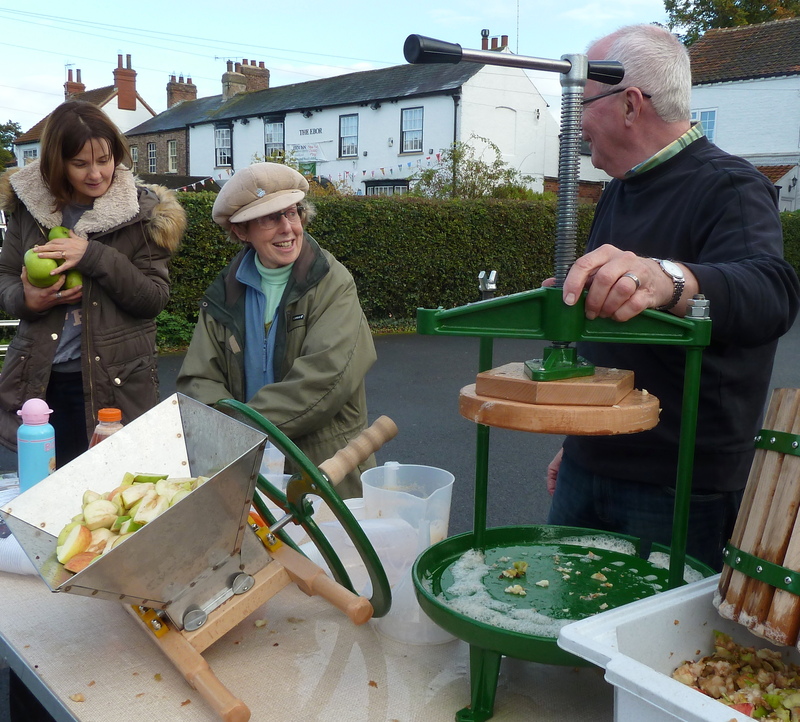 Throughout the land, apples were gathered from gardens and orchards for a mass apple pressing experience. Link editor, Carole Green, seen left, organised the Bishopthorpe event which started with her team helping to pick apples of all varieties. 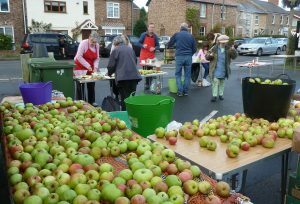 By Sunday afternoon, the Village Hall forecourt was a sea of green and red fruit. 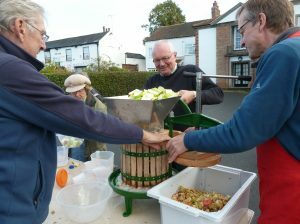 Volunteers washed and chopped apples and piled them into the press. Strong men turned the wheel and we all watched as the amber-coloured liquid trickled out to be collected in jugs. 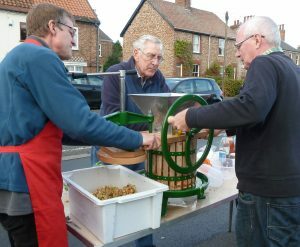 Villagers arrived throughout the afternoon with yet more apples and all were rewarded with pints of delicious fresh apple juice. 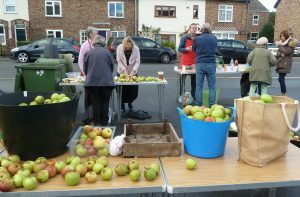 Thanks are due to Carole and all volunteers who made the occasion a very pleasant community event.